The report — “Republicans and Women Voters: Huge Challenges, Real Opportunities” — was the product of eight focus groups across the country and a poll of 800 registered female voters this summer. The large-scale project was a major undertaking for the GOP groups. 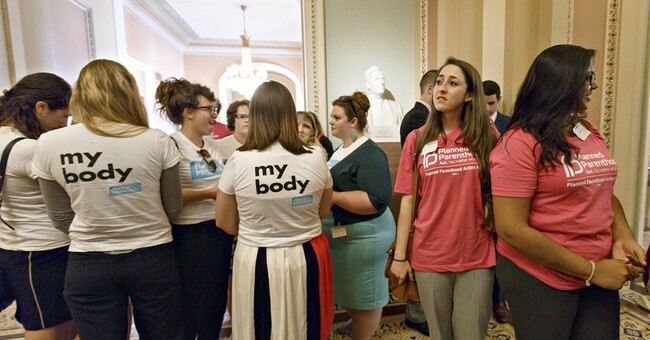 Paul Lindsey, the spokesman for Rove-backed Crossroads GPS, said, “There are a number of House policymakers and staff who have been willing to focus on issues important to women, and we think it’s important that they are aware of the policy solutions that are available to help address these concerns. Politico added that Republicans fail to reach women from different economic backgrounds, namely the rising demographic of female breadwinners. Currently, 40 percent of women are becoming the main source of income for America households. The story also noted that while the GOP holds a meager 3-point advantage on fiscal matters, they have high negatives on matters such as healthcare, tolerance of lifestyles, and looking out for their interests. Democrats enjoy a 39 percent advantage on the issues of making health care more affordable and tolerating other lifestyles. When asked who is looking out for their interest, Democrats hold a 40 percent advantage. The piece also noted that women who say jobs, the economy, education, and health care as their top four issues vote overwhelmingly Democratic. But also said that Rep. Cathy McMorris Rodgers, the No.4 House Republican, is the point of the lance is bucking this trend. A more populist message could drive that narrative home. Women–and pretty much all voters–want authenticity in their candidates. Under these tough economic times, stories about enduring and triumphing over economic hardship resonate immensely. That’s now Rep. Kristi Noem of South Dakota was able to beat former Congresswoman Stephanie Herseth Sandlin in 2010. The study and the polls included raise a few questions. Generally, to get authentic results, you’ll need 1,000 respondents for a national poll, 600 for a statewide poll, and 350 for a congressional poll; the poll was only 800 registered female voters–and it’s likely voters that will give you a more accurate projection in an election. While not a conservative, New Jersey Republican Governor Chris Christie dominated in almost every demographic during his 2013 re-election bid. In a blue state, he won women voters even with a woman running on the Democratic ticket, State Sen. Barbara Buono. Republicans can do this; they can win, or at least be competitive, if they hone their messaging correctly. The Virginia election in 2013 was one where the Republican nominee would have won merely by attracting the votes of the same people who voted for Mitt Romney. The party’s candidate for governor did not need to improve his showing among young voters, African-Americans, Hispanics or unmarried women. He just needed to get white guys and their wives. Yet, the GOP shouldn’t bank on this to just focus on married voters. The study said that the Republicans continue to do well with married women, but unmarried women, who really lean towards the Democrats, are outpacing their share of the vote. And, in Virginia, they overwhelming voted for McAuliffe. Nevertheless, to put things into perspective, Cuccinelli lost by 57,535 votes. More married voters could’ve been the difference, but his campaign wasn’t exceptional in the slightest. Some folks blame pseudo-Libertarian Rob Sarvis for spoiling the election when in fact; he took away more votes from McAuliffe if you look at the results county-by-county. In all, Republicans know they have trouble with women, they’ve seen success in winning this demographic in past elections, they certainly have the ideas, and they have the politicians who can sell them without pulling a Todd Akin. Let’s get to it.